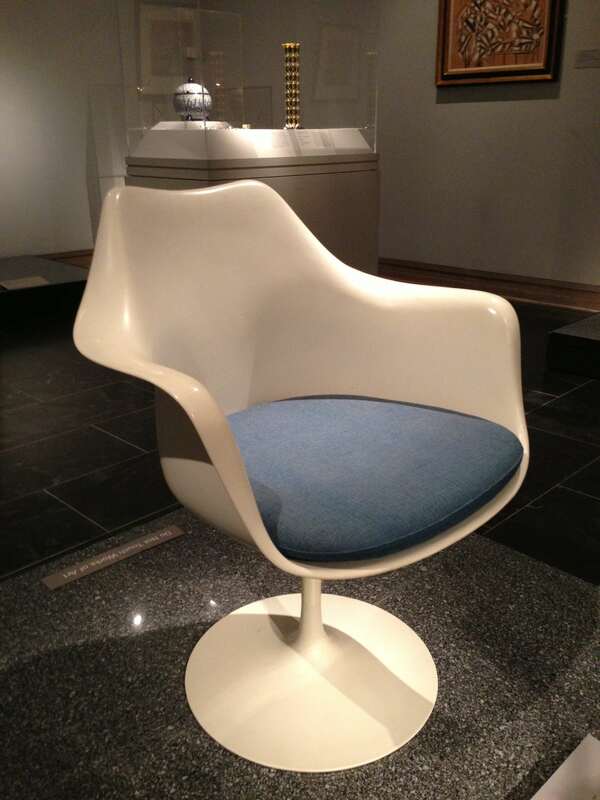 If you’ve been to the Metropolitan Museum’s Modern Design gallery on the first floor, you’ve seen the iconic Eero Saarinen chair sitting on its platform at the back of the gallery with a “do not sit” sign prominently displayed. Too bad you aren’t down in Wilmington, North Carolina at the Cameron Art Museum, where a tribute to three famous local artists provides you with an opportunity not only to sit in one, but at a Saarinen table with four of them, all surrounded by classy contemporary art in a setting only an artist can create. 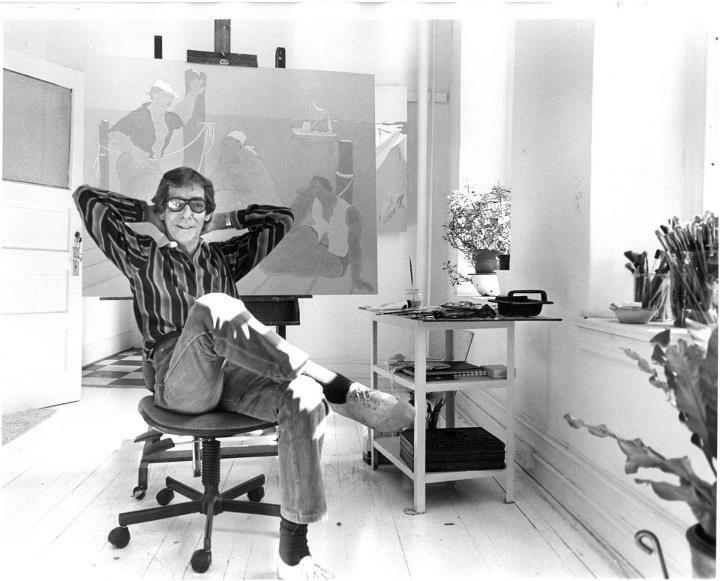 It’s a recreation of Claude Howell’s apartment 44, collecting and making art and holding salons for his entire life. Check out the Flickr photos of his fantastic place (yes, it’s a recreation, right down to the views of the Cape Fear River outside!). Enjoy seeing how Claude lived and worked with his museum-quality dining set, and if you are anywhere near Wilmington, be sure to go sit in the chairs for real. Claude would be glad to have you over! This entry was posted in Art, History, Museums and tagged architecture, art, culture, design, history, museums, style by mssusanb. Bookmark the permalink. Did you find Jaime and Don? 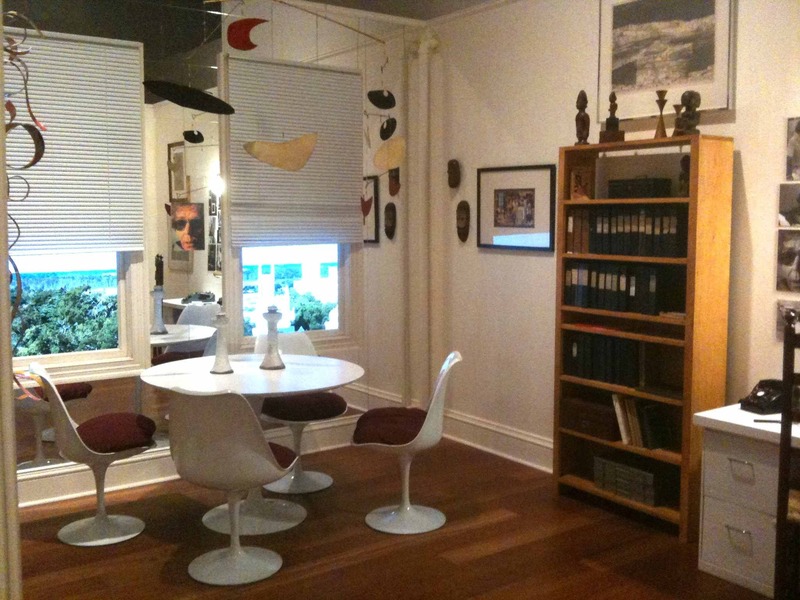 I heard that you were at the Saarinen house in Columbus, Indiana. Great minds think alike, Don! Did you get to sit in the chairs? Thanks for sharing our friend Claude’s hospitality… His door was always open!